This year is the 7th Annual Flats & Hand washing Challenge. Until this year, the Flats and Hand Washing Challenge has been hosted by Dirty Diaper Laundry, but this year the torch has been passed onto the Cloth Diaper Revival. We participated last year, and I think you should too. As we gather up our supplies, and plan out our strategy, we want you to join us! Come check out why I think you need to be part of the Flats and Hand Washing Challenge. 4 BIG reasons you should join in on the fun. ADVOCACY —– Diaper Need Awareness: The Flats and Hand Washing Challenge is a great opportunity to highlight the growing need for diapers. Its suggested 1 in 3 families struggle with having enough diapers for your baby, and when you have to make the choice between diapers or dinner, thats an alarming concern. There are ways we can meet the diaper need gap, and one of those ways is cloth diapering. And if you’re on a budget, Flats & Hand washing is a viable option to keep your babies bum clean and healthy, and giving you more funds to support your household. Let’s Talk Cloth Diapers: By taking part in the Flats and Hand Washing Challenge, you can help highlight the growing mainstream nature of cloth diapers. 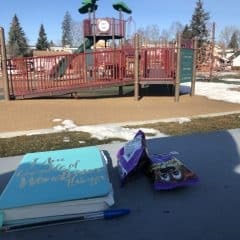 You know, flats and hand washing isn’t for everyone, and it’s not my day-to-day reality as a cloth diapering family, but this challenge is a great opportunity to publicize the cloth diapering community, and the options available. Let’s talk the possible health impacts of disposable diapers – rashes and reactions, and unknown long term impacts to the reproductive system. Check out the #igettoknow campaign. Let’s talk about the environmental benefits to cloth diapering – reduced manufacturing processes, reduced strain on waste management systems, and yes cloth diapering uses water but so does going to the bathroom and making disposable diapers. Let’s talk about how easy it is. Laundry machine or not, it really is easy to cloth diaper your family. Fastening, washing, same as fastening and taking out the trash. Let’s talk about how cost effective it is – I just spent $60 CDN via Amazon Prime on 2 boxes of disposable diapers for my families upcoming 10-14 day vacation. I also just spent $30 on absorbency for 2 days worth of diapering over 2-3 years (I’ll also need covers, and a few other things, but not nearly the same long term cost). Emergency Preparedness: Cloth Diapers just aren’t for you, and thats a luxury of living in modern America. The Flats and Hand Washing Challenge is a great opportunity to be prepared for the worst. I keep my flat stash in my emergency go-bag at the front door. The cloth diaper mama/mentor I learnt from, she didn’t have a choice when a Hurricane hit the East Coast and took out the power for weeks. Disposables were hard to come by, but knowing she could wash her flats in the bath tub without electricity, kept her children clean, and comfortable. You never know where life could take you, or how things could turn out. Its fun: I’m now in a part of my life where fun isn’t Friday night party’s, but instead, fun is about challenging myself and experiencing something new. The Flats and Hand Washing Challenge does just that. I love getting to talk about cloth diapers, even if its flats. I love having something physical to do, even if its hard work. 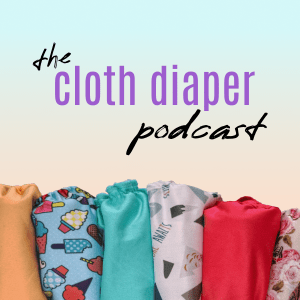 Have you considered cloth diapering? What holds you back? Join the fun today by signing up with Cloth Diaper Revival. Hope to see you join in on the fun! We exclusively cloth diapered one of our kids and I loved it! I couldn’t quite figure out if it was the quality of the diapers, or what, but I couldn’t figure out how to keep my boys from leaking out of cloth, so we switched back to disposable. It looks like you have tons of great resources to find out what brands work best! I haven’t tried cloth diaper yet maybe because I got that gag thingy when it comes to poop. That’s why I preferred disposable diapers but reading the benefits of cloth diaper makes me think of trying it out for my baby. This challenge sounds great and your post is so informative! I did cloth for awhile. I still have some of the large ones…maybe I should try this! I didn’t consider them but I am not sure why I didn’t lol. I will probably try them with my next baby. I was allergic to disposable diapers as a baby and my mom swore by cloth diapers.